One of the prettiest ski resorts around and part of the Portes du Soleil ski area , this is a great place to be based for a winter season , its close proximity to Geneva airport means if you are doing transfers then you will have one of the shortest times sat on a coach ! One of the main pluses is the fact that the resort is really close to Mt Blanc and as such means you have a micro climate here , it can be dumping in morzine and no snow at all in other resorts ! 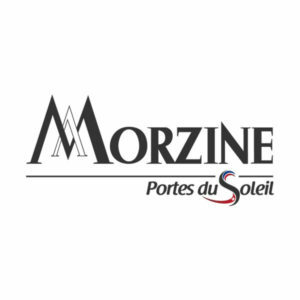 Morzine is really close to Les Gets, so quite often you could live in one resort but work in the other , it is aso linked to the higher resort of Avoriaz which can be accessed by bus,cable car or chair lifts. Most large tour operators work in Morzine and Avoiraz, and one or two have chalets in Les Gets , but this area is all about the smaller privately owned operators , there are LOTs of single chalet companies and transfer work as a driver is a good option here too.Bars abound in Morzine and there are a lot of opportunities to land the dream job of working the bar at night and riding all day. On powder days anywhere around mozine and Les Gets can offer some great tree skiing , to get away from the crowds and have the forest to yourself head to xxxxxxx , for the park junkies head up into avoiriaz into the burton sponsored “The Stash” .Good fun on days off can be had from heading up Mt Chery area and jibbing around on the quiet pistes . The White Monkey , Tibetan bar , Dixie bar, Coup de Coeur and to end the night : L’Opera.